Senna Knew Winning Isn’t Everything! Senna loved winning too, of course: he was obsessed by it as champions are. But what separates him is that he came to realise there was more to life – and that is why people are making films about him today. He had the visionary mystique to know in a world of plenty you do not have to have ‘have-nots’ to have ‘haves’. His trainer Josef Leberer told me: “During my first year with Ayrton we were driving through Sao Paulo when we saw a favela and I asked how he felt when he saw these people. He said it was very hard for him and it hurt a lot, but that you have to be powerful to effect any real change and he was not there yet. 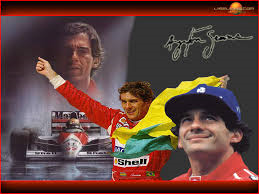 Posted on July 22, 2015 October 27, 2015 Categories Ayrton Senna, Clyde Brolin, Formula 1, God and Formula 1, power of sportTags Ayrton Senna, Clyde Brolin, Formula1, God and Formula 1, power of sport18 Comments on Senna Knew Winning Isn’t Everything!